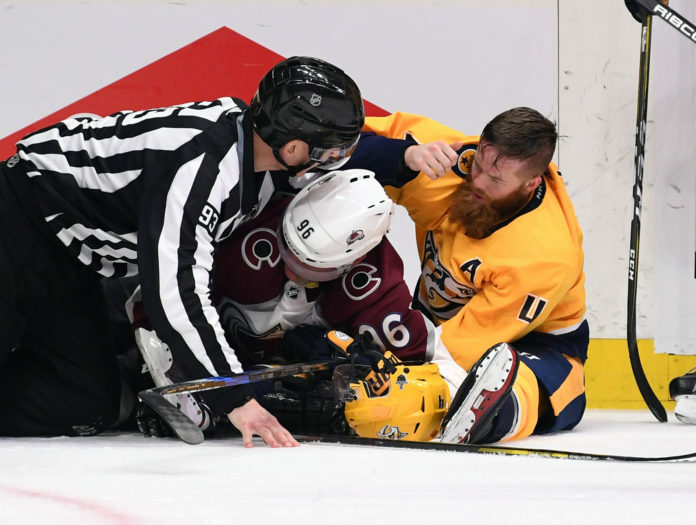 The Colorado Avalanche were beaten by the Nashville Predators by a score of 5-4, and now need to win four of the next five games to win the series. Despite scoring the first goal in each of the games, the Avs have now dropped both of them and need to pull of a miracle to upset the NHL’s best team. What did we learn from Game two? The Avalanche are the youngest team in the NHL, and at times, it shows. Poor decisions have cost them tremendously through two games where they have ultimately been surprisingly competitive. The mistakes are frustrating, but given the age and experience of this team, they shouldn’t be a surprise. Jonathan Bernier has made the saves he’s supposed to make for the most part, but has yet to do anything to help steal a game, which is what you need against a team this good. Semyon Varlamov when healthy is capable of stealing games and making spectacular saves, and that’s something a young team needs when they make mistakes. It took a two man advantage for the Avalanche power play offense to make an appearance this series in a good way, but the Predators have taken some undisciplined penalties and the man advantage just hasn’t looked very good. The second unit, in particular, missed Samuel Girard today. The Avs defensive depth is being tested. Playing without Erik Johnson already, Samuel Girard was announced as a scratch about thirty minutes prior to the game. He took a physical beating in game one, and it took it’s toll on him. Patrik Nemeth ended up leading the team in ice time, which is something that should never happen again. Ultimately, it’s important to remember that the Predators were the best team in the NHL this year, and the Avalanche have been remarkably competitive through two games. It would have been nice to see them steal a game in Nashville, but for a team that is playing shorthanded against the NHL’s elite, they have played very well.